What are the 7 Habits for Abundant life? Jesus revealed Himself as the Bread of life. (John 6: 35). In Isaiah, He promised that we shall eat bread without money and drink choice wine without worrying how we pay for it. (Isaiah 55: 1 - 3). This time is now. Are you still dreaming and waiting for Abundant life? Faith, Patience, Wisdom, Humility, Courage, Peace, Contentment. How do you form the habit that leads to and maintains Abundant life? Prayer, Word of God, Eucharist, Reconciliation, Maintaining a clear conscience through daily examination of conscience, Ministry or sharing your gifts, Spiritual reading. You may call this: The 7 Habits of a saint. Where does this Abundant life apply in your life? Health, Family, Money, Job, Tools and Possessions, Food and Peace over your Future. You may call this: The 7 War Zones, the areas where Satan wars against you to deprive you of Faith, Peace and Abundant life. To capture an image of Abundant life, look no further than the life of Jesus and the saints. They radiate pure joy, peace and contentment. The Church was at peace and walked in the fear of the Lord. Imagine the incredible truth that Jesus entrusted His most important work to the weak and fallible Apostles. The Church is a credible witness of the life and work and Resurrection of Jesus Christ. John, John, why are you persecuting Me? 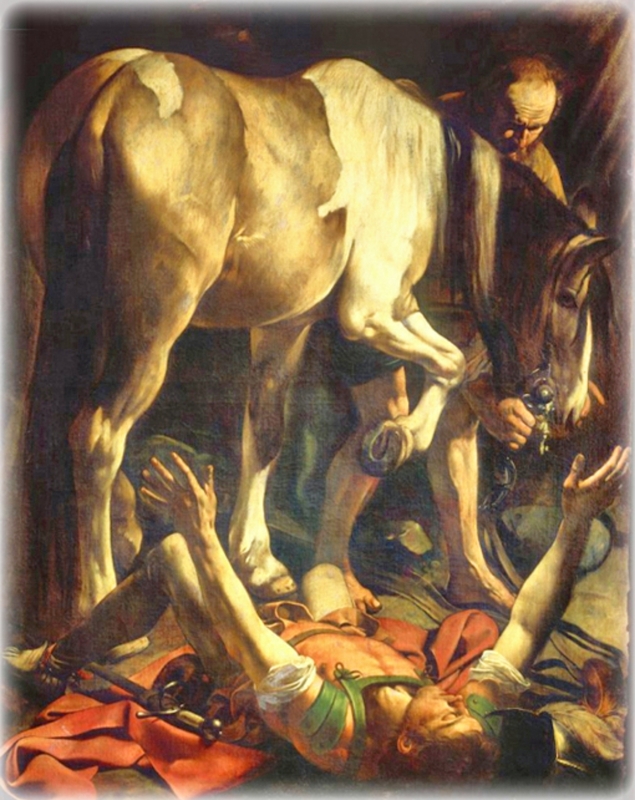 I call the above scene in the life of St Paul and the life of the infant Church, a turning point. There are many lessons to be gleaned from this incident. I want to focus on one: Jesus Christ our Lord is not unaware of what is going on in the life of the Church or your personal life. He knows every detail. 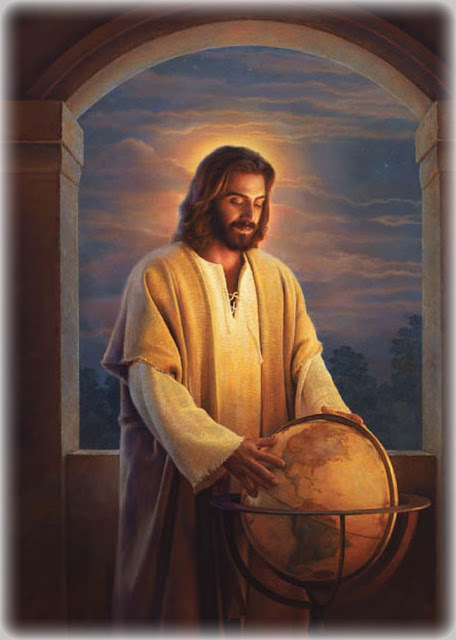 He knows when you are honoring Him, working with Him for the salvation of the world or when you are persecuting Him. Don't be deceived by His silence. The full drama of the confrontation between the Risen Jesus and St Paul can be read in Acts 9: 1-20. May 5, 2017 - First Friday in May. May 5, 2017: First Friday in May. 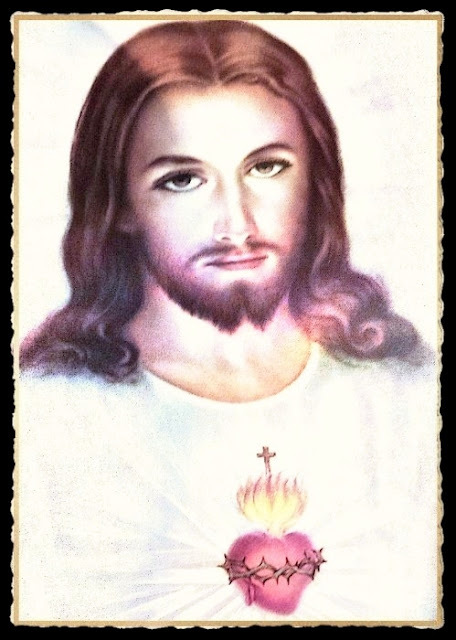 How do you plan to honor the Sacred Heart of Jesus today? The Flesh and Blood of Jesus is the medicine of immortality. 1. What is this Bread? This Bread is truly the Flesh and Blood of Jesus Christ. 2. When was it given? It was given on the night before He died with these words: "While they were eating, Jesus took bread, and when he had given thanks, he broke it and gave it to his disciples, saying, "Take and eat; this is my body." (Matthew 26: 26; Mark 14: 22; Luke 22: 19; 1 Corinthians 11: 24) And then, "Do this in memory of me." 3. Why did Jesus give us this Bread? Just as bread nourishes our body and sustain our lives, the Flesh of Christ nourishes our souls and sustains our lives. St Ignatius of Antioch calls the Body and Blood of Jesus "the medicine of immortality." 4. How is it available to us today? 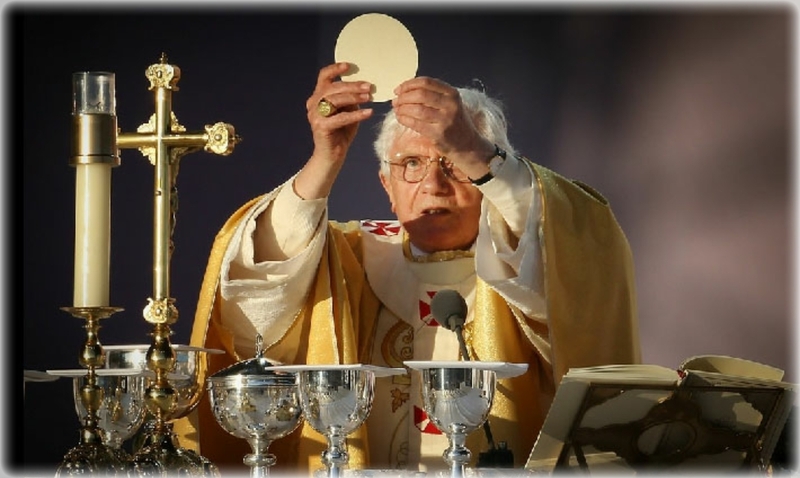 The Body and Blood of Jesus is available to us today through the Eucharistic Feast, also known as the Holy Mass. 5. Where can we find this Bread? 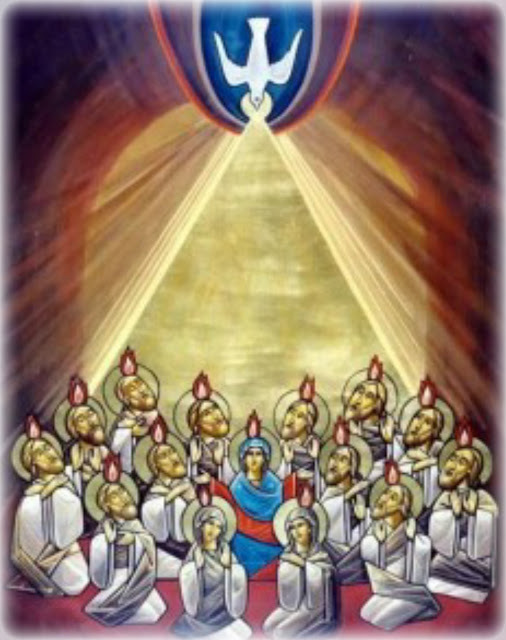 In the Eucharistic Feast or Holy Mass. 6. Who can receive this Bread? To receive Holy Communion one must be fully incorporated into the Catholic Church and be in the state of grace, that is, not conscious of any serious sin. 7. Who is the Minister of this Sacrament? A Bishop or a priest. No Eucharist, no Church. No Church, no priesthood. The Greatest Sign and Work of Jesus is the Church. "Amen, amen, I say to you, whoever believes in me will do the works that I do, and will do greater ones than these, because I am going to the Father. And whatever you ask in my name, I will do, so that the Father may be glorified in the Son. If you ask anything of me in my name, I will do it." (John 14: 12 - 14 NABRE). Note that the condition to ask and receive is linked to "belief" and "works." 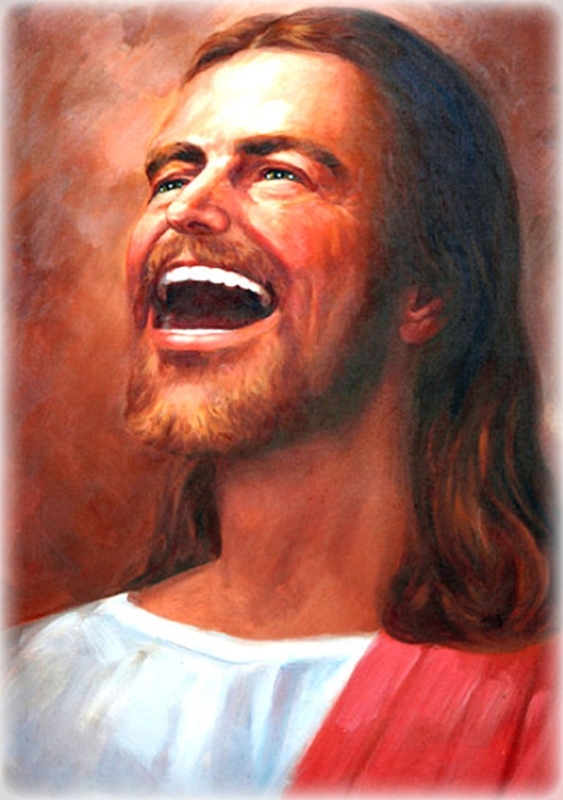 You believe in Jesus, the Only Son of the Father. You become active in working for God. God sees your work for the Kingdom and God works for your interests. (Cf Matthew 6: 33 - 34). St Maria Faustina, the mystic and the Apostle of Divine Mercy in her Diary records: Jesus is sad because His children (us) do not ask for big gifts. He wants us to come to Him and ask for the big items. What are the big things? What does the Bible say? "If you, then, being evil [that is, sinful by nature], know how to give good gifts to your children, how much more will your heavenly Father give the Holy Spirit to those who ask and continue to ask Him!” (Luke 11: 13 AMP). The Holy Spirit is the Mother of all gifts. Be my Rock of refuge, O Lord my God. "As they were stoning Stephen, he called out, “Lord Jesus, receive my spirit.” Then he fell to his knees and cried out in a loud voice, “Lord, do not hold this sin against them”; and when he said this, he fell asleep." (Acts 7: 59 - 60 NABRE). 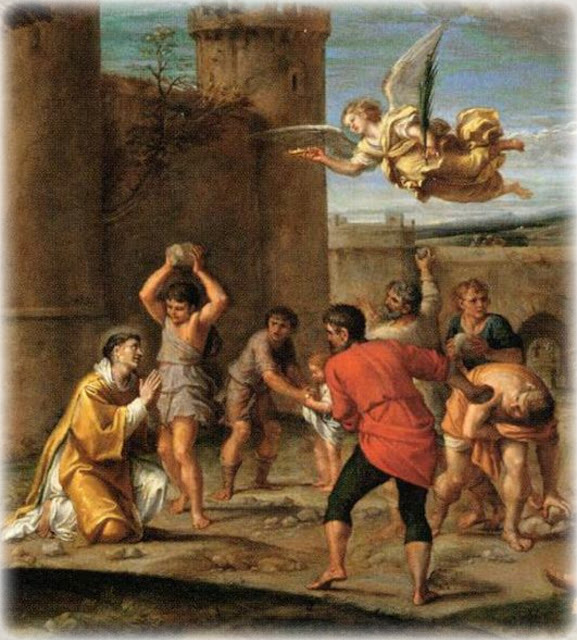 This is how the first Christian martyr, St Stephen died. He died exactly as Jesus died, forgiving his persecutors while still in agony. Jesus promises unlimited Mercy to all who call on Him in trust. But this is contingent on our being merciful to others. The ABC OF MERCY. Yes! C: Completely Trust Jesus for Mercy. Yes. All 3 steps are essential. "Into your hands I commend my spirit; you will redeem me, O LORD, O faithful God. The more you trust Jesus for Mercy, the more you receive mercy. Do not labor for food that perishes. "Blessed are all who fear the Lord and walk in His ways! By the labor of your hands you shall eat; blessed are you, and blessed will you be. " (Psalm 128: 1-2 RM).
" O God, Creator of all things, who laid down for the human race the law of work, graciously grant that by the example of Saint Joseph and under his patronage we may complete the works you set us to do and attain the rewards you promise. Through our Lord Jesus Christ, your Son, who lives and reigns with you in the unity of the Holy Spirit, one God, for ever and ever." Amen. 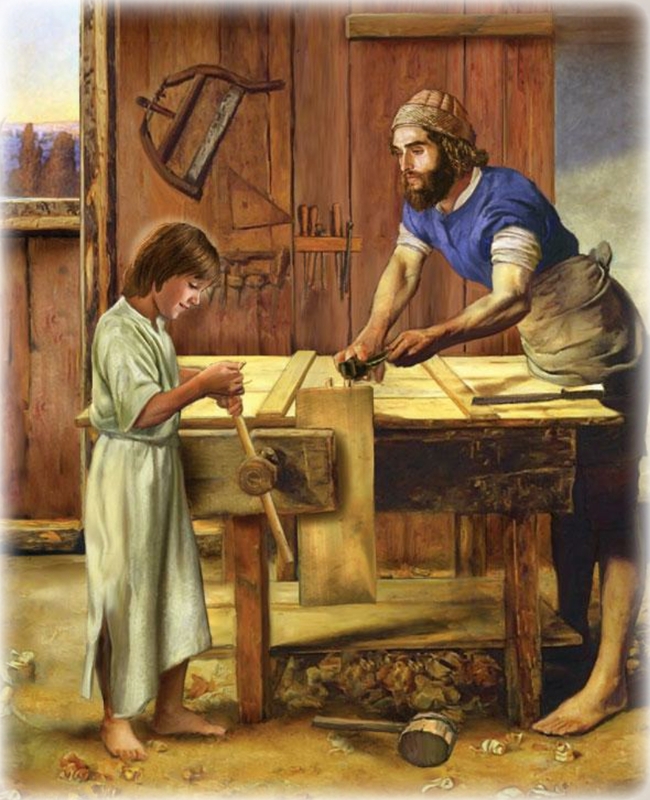 St Joseph the Worker, Pray for us.